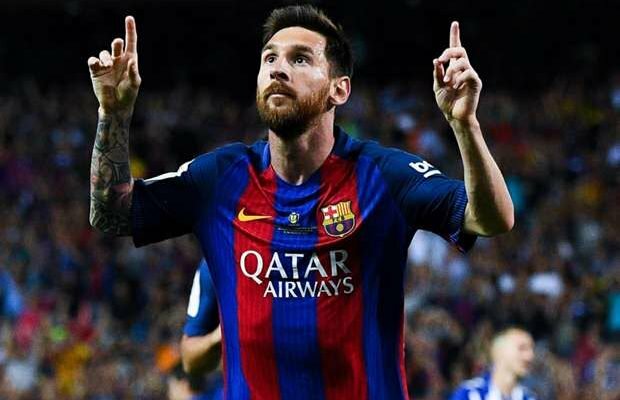 The International Journal of Computer Science in Sport (IJCSS) has claimed that Barcelona’s Lionel Messi, is the most overpaid footballer in the world. Messi has won the Ballon d’Or five times since he made his debut at Camp Nou, helping Barca to a decade of glittering success. He recently penned a new deal, that makes him the highest-paid player in Europe, but IJCSS say Barca may not be getting their money’s worth. 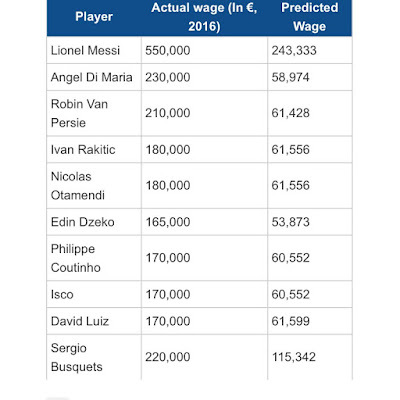 The IJCSS compiled salary data and performance analysis from Europe’s top leagues in their study, choosing 2016 as a base year. Variables such as age, position, club and a whole host of attribute evaluations in key areas were collected and run through an algorithm designed to determine each player’s ‘real’ worth. Messi comes out at the top of the list of overpaid stars, with the IJCSS contending his true value is some €320,000 lower than his actual weekly wage. “Clearly, the salary of a football player is affected by numerous factors that are not directly related to performance or skills. For instance, a player liked by the fans can have higher compensation to reflect merchandise and ticket sales,” the report concludes. “For instance, a player such as Lionel Messi receives a weekly wage of €550,000 given that part of it is sponsorship, merchandise sales, image rights, and other incomes outside the scope of wins or performance on the field. A new study on player wages has claimed that Barcelona may not be getting their money’s worth out of Lionel Messi’s astronomical weekly salary. The Argentine has won the Ballon d’Or an unprecedented five times since making his debut at Camp Nou, helping Barca to a decade of glittering success. That wonderful talent has been duly compensated with a salary package that makes Messi one of the richest men in sport, alongside Real Madrid rival Cristiano Ronaldo. According to the International Journal of Computer Science in Sport, however, he may not merit such a high valuation. And despite his status as one of the finest players in the world, Messi comes out at the top of the list of overpaid stars, with the IJCSS contending his true value is some €320,000 lower than his actual weekly wage. Fellow Argentine Angel Di Maria and Galatasaray’s ex-Arsenal star Robin van Persie complete the podium.